Absolutely every horse is a unique individual and to achieve success each must be approached differently. Do you have a horse with a rearing issue? Does your horse have trouble trailer loading? Are you getting frustrated with your young horse? Each of these problems originates from poor horse and handler communication. Emily Lasher Dressage works to effectively support each horse or horse and rider pair in clearing up these misunderstandings. Emily will work with both horse and rider to effectively achieve YOUR goals. If you are interested in competing, each season Emily Lasher Dressage works to start and bring along young horses and clients to reach the next level of there competition goals. Each year there are new horses and clients getting there feet wet at the local schooling shows. 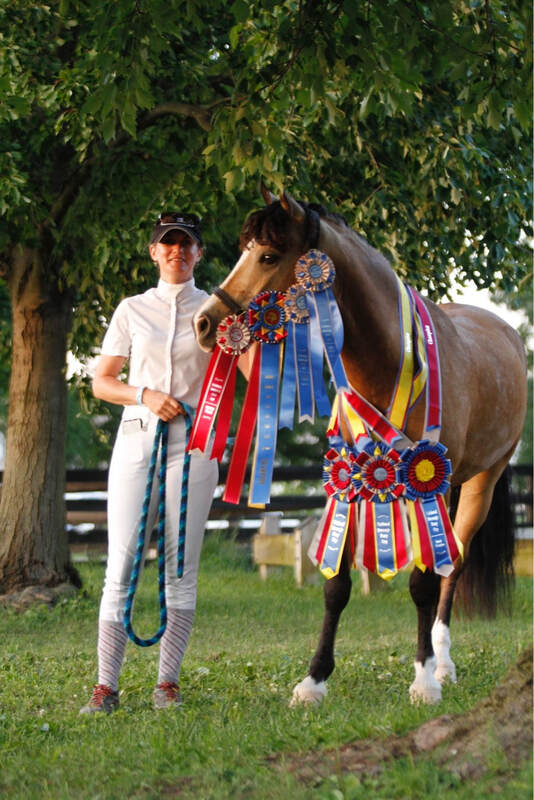 Horses and riders pushing for the next level at nationally rated shows. Students participating in interscholastic shows, horses competing in internationally rated CDI's as well as taking the opportunity to go to Kentucky for the National Dressage Pony Cup.